OUR BOND BACK GUARANTEE: We provide a 7 day warranty of your Bond Cleaning Sydney / End Of Lease Cleaning service. Our guarantee entitles customers to a free re-clean of their property if it hasn’t been cleaned to the expectations of their landlord/agent. Full details are in our terms and conditions. Bond Cleaning Sydney offers their customers security and trust which are vital components when it comes to having someone servicing your home or office. The stress of moving can be very overwhelming when life’s commitments are present. We at Ultra Clean End Of Lease Cleaning Sydney will give you piece of mind and allow you to spend your precious time on more important things during the moving process. End Of Lease Cleaning Sydney is crucial, and it’s best to leave it in the hands of a professional. When you are trying to pack as well as keeping up with work and family, worrying about the end of your lease and cleaning is the furthest thing from your mind. We have a range of affordable vacate cleaning packages available, so you can save time and money. We have professional and dedicated cleaners who handle End Of Lease Cleaning Sydney around the area daily. With necessary experience and knowledge of what your real estate agent or landlord is looking for, you can be assured your home is cleaned to the highest standard. Bond Cleaning Sydney. Taking pride in our work and offering a dedicated, first class service to our customers. Our typical bond clean offers a range of services including; dusting, mopping, vacuuming, soap scum removal and all internal walls spot cleaned. We are also offering extra services to our customers as well. These extra services can be found on our checklist and can be added to your quote. You shouldn’t have to waste your money buying cleaning supplies that you are going to use just once. Let us take over as we have all the necessary products and equipment. 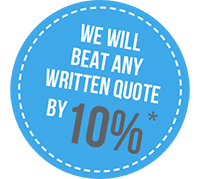 Contact Ultra Clean to book your free no obligation quote today on 02 8459 9005 or 1300 800 362 or click on our instant quote form to receive a 30% discount on your clean. Sydney is the capital of New South Wales and one of Australia’s largest cities. It is well known for its harbour front Sydney Opera House with its distinctive sail-like design and is known as the Harbour City. Darling Harbour and the smaller Circular Quay port are hubs of waterside life, with the arched Harbour Bridge and esteemed Royal Botanic Garden nearby. Sydney Tower’s outdoor platform, the Skywalk, offers 360-degree views of the city and suburbs. It’s the largest, oldest and most cosmopolitan city in Australia with an enviable reputation as one of the world’s most beautiful and liveable cities. 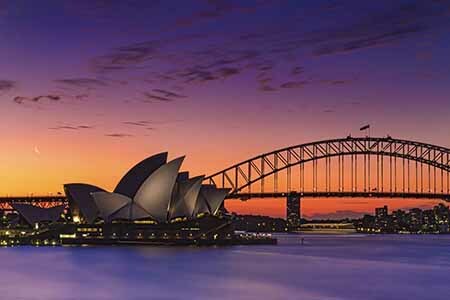 Brimming with history, culture, art, fashion & cuisine, Sydney’s set next to miles of ocean coastline and surf beaches. Long term immigration has led to the cities reputation as one of the most culturally and ethnically diverse cities in the world.